If you are looking for a completely natural and environmentally friendly answer to your rodent issues, then perhaps the peppermint oil mice repellent what you need. This method of keeping mice away from your home and property is not only easy and stress free but also effective with a bonus; leaving you with a fresh mint aroma in a mouse free zone. As with any method or procedure it is imperative that it is used correctly if you want the best results. The following tips and guidelines will show you how to use peppermint oil in order to have the most rewarding and effective experience. The first step is to make sure that you have the correct kind of peppermint oil. It needs to be 100% pure, essential oil. You can either order it online or buy it from your local health shop. I personally think the easiest way to buy peppermint oil is through the internet. Whichever way you choose; you would need to establish that it is suitable for use as a mouse repellent. Some solutions have been specifically formulated for mice control, while others are used for catering purposes, but these should all work equally well, as long as it is good quality, pure peppermint oil. Just make sure to read to ingredients to make sure it hasn’t been diluted with other stuff. If you’re interested in peppermint oil, don’t forget to consider Fresh Cab, another mice repellent that also uses natural ingredients. So does peppermint oil repel mice? The answer is yes. However, the explanation is unknown. Maybe they don’t like the smell, or maybe it’s a whole different reason, but what matters is its worth a shot. Don’t rush in blindly without knowing how to use it properly though. There are two ways to use them. Follow the simple instructions below and you shouldn’t have any issues. These are easy to place around your home and slip into small areas where the mice might like to hide. They need to be infused with a generous amount of peppermint oil (at least five or six drops on each cotton ball). As the scent dissipates you will need to refresh the drops every two to four weeks. For the best results replace the cotton balls at least once a month. Using a spray bottle can be convenient and practical especially when it comes to covering a large surface area and spraying along the baseboards or doorways. 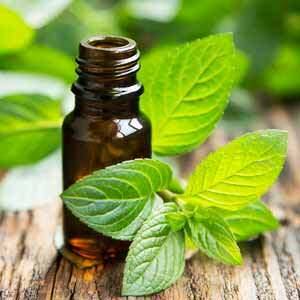 Simply mix a solution of two teaspoons of peppermint oil to one cup of water. Add one drop of detergent which will help to keep the mixture evenly blended. Shake well and then start to spray away with your peppermint oil mice deterrent spray. Using peppermint oil correctly is important, but so is using it in the right place. You’ll have much better luck with this repellent if you place them where they will work best. If you can find the entry points where the mice may be likely to come into your home, this is the best place to spray or place the cotton balls. Pop them into any suspicious holes, and spray around your doorways and window ledges. In this way you can stop the mice in their tracks even before they set their little feet onto your property. If mice have already entered your home, they can leave a pheromone trail which tells other mice family and friends where to go. So wherever you are seeing droppings and grease marks, you can spray the peppermint oil in order to mask the pheromones and prevent further infestation. You’ll also want to place apply some peppermint oil for mice in bedrooms and closets: Placing the cotton balls in areas such as bedrooms and closets will deter mice from spreading into those areas as well. And don’t forget about your vehicle or RV. Mice love to find a warm and sheltered place to spend the winter, so put some cotton balls in your car, and give the tires a good spray, especially if you don’t use your vehicle every day. At this point it needs to be noted that using the peppermint oil mice repellent around your living or working space is most effective as a preventative measure, rather than a cure. In other words, if your place is already overrun with mice, you would likely need to use other methods of trapping and eradicating them in order to get the infestation under control. Thereafter you can enjoy maintaining your mouse free status with the effective use of the peppermint oil techniques. The humane aspect: The great thing about using peppermint oil is that you are not hurting, injuring or killing the furry little creatures. They simply do not like the smell and so they will stay away from you and your stuff. That’s exactly what you want, and no one gets hurt or bothered so it’s a win-win situation! The safety aspect: Another thing about peppermint oil is that it is completely natural and ‘green’. That means no dangerous chemicals or hormones, so it is perfectly safe around your children and pets. It is also safe to use around food. The flexibility aspect: Peppermint oil is extremely versatile and flexible in that it can be effectively used both indoors and outdoors. You can place it in your cupboards and drawers, even where there is food without worrying about contamination as it is 100% natural and environmentally friendly. Making your own essential oils can be fun and could be more economical if you want to make a large quantity. This is especially true if you grow your own peppermint. You would need to harvest the mint early in the morning when the oils are strongest. Rinse and dry the mint, then place the leaves in a mortar and gently crush them with the pestle, releasing the oils. Take a light base oil such as grape seed or almond oil, heat it slightly and then add the peppermint leaves. Mix well and then let it stand for about a month before straining out the leaves with a cheesecloth or coffee filter. Store the oil in a dark colored jar and use whenever needed as described above. Peppermint oil and mice, who would have thought these two completely different things would ever have anything to do with each other. Fortunately for those seeking for a natural mice solution, peppermint oil mice repellent can be very effective in preventing mice from entering a new area, provided that it is used correctly. Be sure that the concentration of the oil spray is strong enough and the oil drops on the cotton balls are regularly renewed. In this way you can look forward to living peacefully in your home with a pleasant, minty atmosphere which is most importantly mouse-free.